Doling out freebies to the extent of over Rs 20,000 crore, the newly-formed Congress government in Chhattisgarh had aimed to curtail the fiscal deficit to 2.99 per cent of the gross state domestic product (GSDP) in the financial year 2019-20. Economic experts, however, contest the government claims, asserting that curtailing fiscal deficit from over 6 per cent (according to the revised estimates of 2018-19) to half would be a daunting task. The gross fiscal deficit in the budget 2018-19 was estimated at 9,998 crore. But it rose to Rs 18,768 crore according to revised estimates. Soon after assuming office on December 17, 2018, the Congress government waived off farm loans worth Rs 6,100 crore. It also raised the minimum support price (MSP) of paddy to Rs 2,500 a quintal. Subsequently, the fiscal deficit jumped significantly in the revised estimates. 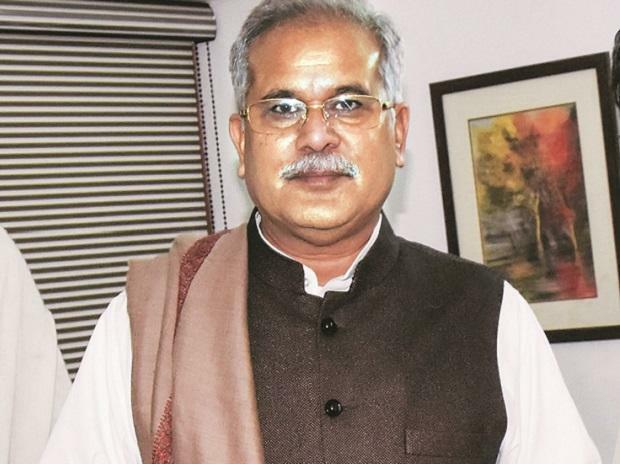 Chief Minister Bhupesh Baghel, who holds the additional portfolio of finance, presented the maiden budget on Friday, with an outlay of Rs 90,910 crore focusing mainly on fulfilling the poll promises, keeping an eye on the ensuing Lok Sabha elections. “A provision of Rs 5,000 crore has been made in the budget for farm loan waiver,” Baghel said, adding that the waiver of short-term agricultural loans of nearly Rs 10,000 crore so far would benefit nearly two million farmers. Besides Rs 5,000 crore for paddy procurement at hiked MSP, provision of Rs 4,000 crore had been made for Mukhya Mantri Khadyanna Suraksha Yojna facilitating 35 kg rice per ration card to poor families. Baghel also announced to curtail electricity bill to half up to 400 units of power consumption and made a provision of Rs 400 crore in the budget. “The state has a loan of about Rs 12,000 crore, we will curtail it to Rs 10,913 crore in the next fiscal that will be within the limit (of fiscal responsibility and budget management act),” Baghel said. The budget focused on the welfare of farmers, rural economy and middle class, he added. The budget proposes no new tax and with no significant gain in income, maintaining fiscal discipline would not be an easy task, said economist Shashank Sharma. The fiscal deficit in the state was likely to increase as the revenue surplus would come down to Rs 1,151 crore in 2019-20 from previous year’s Rs 4445 crore, he added.